Tatiana Abakumova (Sandalova) was born in May 10, 1988. In 2012 she graduated from Pirogov Russian National Research Medical University. From December 2012 to May 2015 she worked as a Junior Researcher in the laboratory of neurochemistry in the department of fundamental and applied neurobiology in the Serbsky Medical Research Center of Psychiatry and Narcology, and then as a Researcher (May, 2015- May, 2016) and as a Senior Scientist (May, 2016- December, 2017) in immunochemistry laboratory in the same department (Head of laboratory – Prof. Vladimir P. Chekhonin). 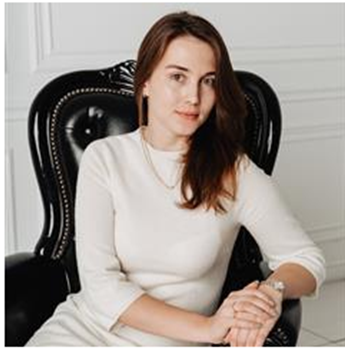 Since January 2018 she joined Skoltech as Junior Researcher to the group of professor Timofei Zatsepin. Research interests of Tatiana Abakumova linked with targeted delivery of therapeutic and diagnostic agents to the brain (glioma, multiple sclerosis), synthesis of nanocontainers (micelles, nanogels, liposomes) and Gd-contrast agents. In January 2016 she got a Ph.D. in biochemistry with thesis «Targeted systems for MRI visualization of brain pathologies». Tatiana Abakumova has a number of awards for her oral and poster presentations on the international conferences, including NANO2014 award for the best poster presentation among young scientists. She got scholarships from the Government of Russian Federation, funds and grants from different funds to support own research. She published 13 papers and 30 conference abstracts. Abakumova T.O., Nukolova N.V., Gusev E.I., Chekhonin V.P. MRI contrast agents in diagnostics of multiple sclerosis. Zh Nevrol Psikhiatr Im S S Korsakova. 2015, 115(1):58-65.